My heart is full of joy this evening for some very good friends of mine who are spending their second night as husband and wife. I would have written this last night except we got back pretty late from their wedding. 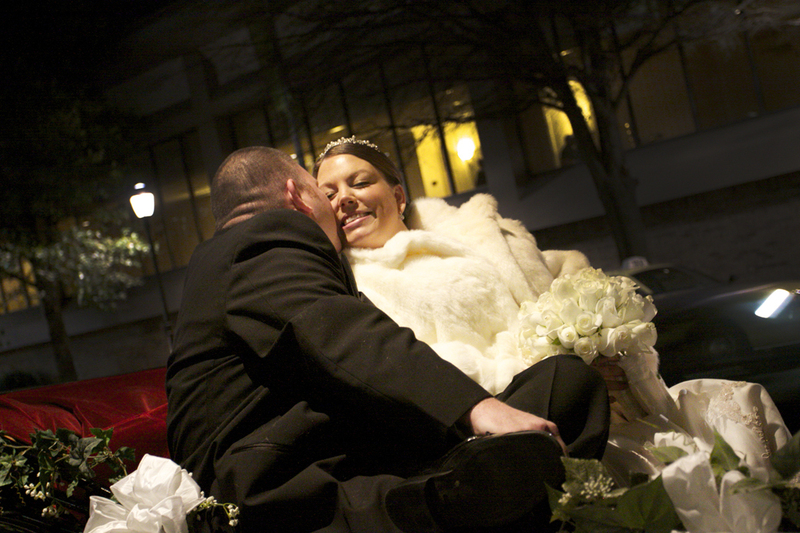 It was a beautiful ceremony and a wonderful reception. We had a blast and it was such an honor to be there witnessing them unite together as one. 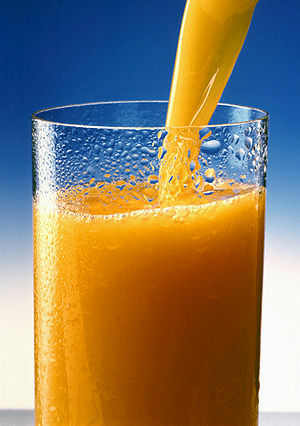 a glass of orange juice. Orange juice is full of calcium… that’s no hidden secret. We all know that orange juice is the best thing to drink when you’re under the weather. I just bought another gallon at the grocery store and am drinking my 400th glass of the day. Since I have no appetite and haven’t eaten since yesterday morning, orange juice is currently my best friend. Anyhooo. We turn to good ol’ OJ when we’re sick, but what about the other 351 days of the year (assuming you’re sick about two weeks of the calendar year)? I usually stick to coffee, water, coffee, chocolate milk (of which my husband refers to as his version of “crack”), some adult beverages and coffee. I don’t even really think about OJ when I’m not sick. But, what’s odd is that if the calcium in OJ is so good for you when you’re sick, why wouldn’t it be good for you when you’re healthy? The thing is, it’s still good for you…but we only turn to it when we need it. a dreadful one for the books. We had friends over tonight and while we had a great time, I’m glad the night is over. My day at work was crazy hectic, as in “I better not ever have a day like that again or I’m gonna go mad” kind of day… And I think I know I’m getting sick. It’s one of those chest congestion types of sick, where you feel like your lungs are caving in and you’re going to cough up your stomach. It was just one of those horribly dreadful days that we all hate. And now, I’m just so ready for bed. a humbling word of gratitude. I’m absolutely in awe of God. I started this blog on January 11th, a little over a month ago. I half expected only my mother to be reading it, but was hoping for something more. I knew this blog was part of God’s plan for me and was an avenue for me to communicate with others what God has been doing in my life. It’s been such a growing experience for me and has strengthened my relationship with God in ways I never expected. I look for God in the little things and in new ways so that I can share what I’ve learned with all of you. As of today, I have reached well over 2,000 views on my blog. And after just nine days into this new journey, I reached over 200 views of just one blog entry, titled a word of thanks, which you’ll find here. Your comments on my blog give me such great encouragement and support and I treasure each and every one of them. The statistics of my viewership continue to blow my mind. And it doesn’t even include any views through Google Reader or email. All of this just continues to give me assurance that I’m doing God’s work and fulfilling His calling. As most of you know, Twizzler is part of the Companions in Crisis program through Fetch A Cure. A photographer came to our house today to photograph Twizzler for some of their marketing materials. While we were outside with the photographer, Skittles (our parents’ dog who has been staying at our house the past few days) was left inside so she wouldn’t distract Twizzler during the shoot. Have you ever realized that they never mention the name of the Prodigal Son? Do you think that’s because we are actually all Prodigal Sons? There are so many times in our life when we walk away from God thinking we can survive on our own. The son represents all of our personal rebellions against God. And unfortunately, we usually have to hit rock bottom before we come to our senses and recognize our sin. The father in the story clearly represents our Heavenly Father. He waits patiently for his son’s return, just as God so patiently waits for each one of us. And when we return with humble hearts, God so lovingly shows us His compassion and grace. In story we see that once the father saw that his son was coming home, he ran to greet him. The father running to his son, greeting him with a kiss and ordering the celebration to begin is a perfect picture of how our Heavenly Father feels towards sinners who repent. He offers us everything in His Kingdom and we joyfully celebrate our restored relationship with Him. And the best part: God doesn’t even think twice about any of it. He doesn’t dwell on our past waywardness; He is just so happy that we have finally returned home. I’ve been a slacker and I’ll be the first to admit it. This Friday I give my “Communication Through Prayer” talk to the Chrysalis team. And as of 11pm last night, I still did not have one single word written on my paper. I’m indeed a procrastinator, but this time it was different. I was actually left speechless. You can read more about my struggle to find the words and my recent feeling of emptiness here. But, I’m great at writing papers, especially at the last minute (I thrive under pressure). However, I wasn’t putting this off because I didn’t want to write it, but rather I couldn’t find the words. Last week, I talked about my struggle to forgive (for those that are slacking or just now tuning in, you can read about that here). No, I didn’t have some epiphany where I decided to let go of all my grudges and move on. That would be a miracle. Instead, while listening to K-love (which is the how I make it through the workday), I heard this wonderful song about forgiveness and the freedom that comes with it. And I’m sad to say that it didn’t come strike me in the head with a new outlook..but it gave me a hope that I can one day achieve that freedom. Thank you Chris August for pouring out your heart in your songs and sharing this uplifting story with the world. Sometimes, we’re left speechless. Yes, even me. Sometimes life gets too crazy or you’re exhausted or you’re just emotionally drained and you have nothing left to give to even attempt to think, let alone speak. Even when you should say something.. You just can’t seem to utter the words. Over the past few days, there have been numerous occasions where I simply can’t find the words. A friend needed my advice and I couldn’t figure out what to say to help her. I’ve been attempting to prepare for the talk I’m giving on the Chrysalis flight and I can’t even get one sentence down on paper. When I was saying my final goodbye to one of my dear friends, I left so many things unsaid because I just couldn’t find the words. And lately I’ve been having a hard time finding the right things to say each day on this blog. It’s like I’m empty inside. And there’s only one thing you can do during a time like this…pray.